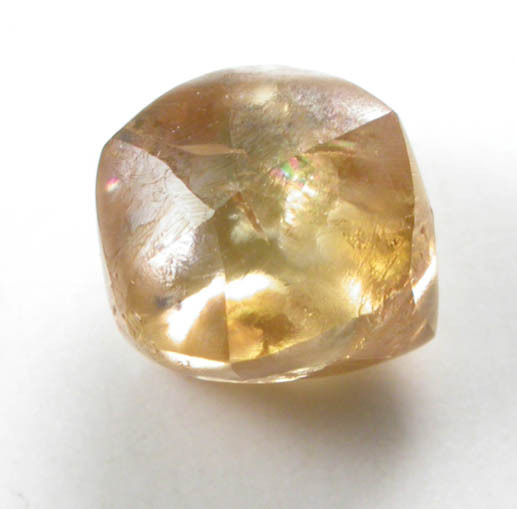 Are you interested in buying rough uncut diamonds and having them faceted into cut gemstones to making a profit? My advice: Do not do it! Stop! The risks are too high! 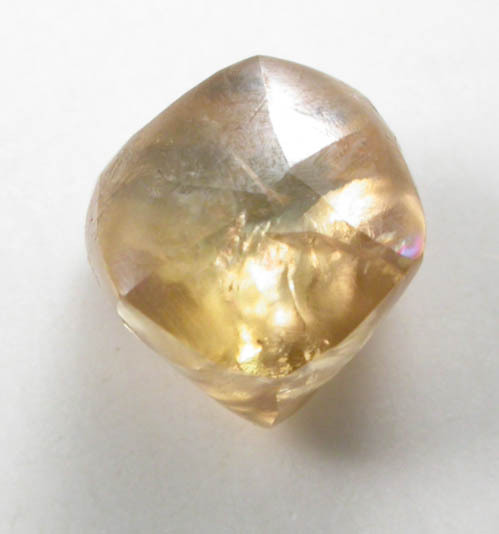 Many visitors to this site have inquired about buying rough/uncut diamond crystals and having them cut into faceted gemstones. I always advise that the potential savings and profits are not worth the risks involved in the process. It is possible to save lots of money -- if you know what you are doing and you have an experienced diamond cutter. But an ordinary lapidary, familiar with cutting gemstones from other precious gem materials, is not skilled enough and does not have the equipment to cut diamonds. Additionally, an inexperienced diamond cutter can ruin a diamond. A bad cut can magnify internal flaws. A good cut will conceal flaws. A bad cut can exaggerate bad color. A good cut will enhance internal color. A bad cut can enlarge internal flaws, or possibly split the stone. 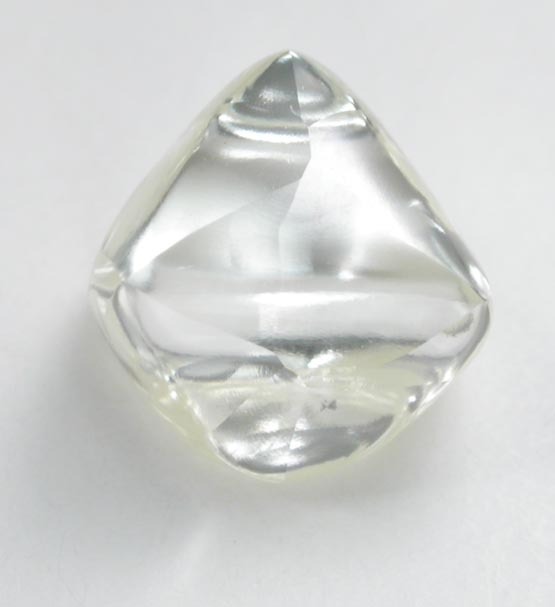 If you want a faceted diamond gemstone, then you should buy a faceted diamond gemstone. Why? Because you must have years of training to evaluate diamonds, diamonds are difficult to cut well, there are risks of failure at every step. I have sold thousands of rough uncut diamond crystals from microscopic diamonds invisible to the naked eye to a 49 carat diamond crystal. Some diamonds were industrial grade; others were gem-grade cuttable diamonds. I have sold diamonds to the magician David Blaine for his illusions. I have sold diamonds to artists for use in their artwork. I have sold diamonds to museums and universities for exhibits and education. I have sold diamonds to collectors that seek diamonds in varying colors, crystal forms and from worldwide localities. And I have sold many diamonds to jewelers. Most of the diamonds I sell are set in jewelry uncut - in the same form that I sold them. 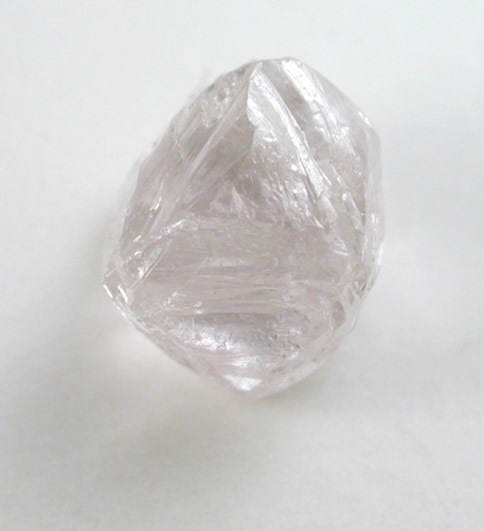 Rough diamond jewelry emerged as a major jewelry trend in 2002-2003. Martha Stewart even featured uncut diamond engagement rings in her Wedding magazine. Jewelry companies like Todd Reed, DeBeers, and Diamonds in the Rough started selling lines of diamond rings with rough uncut diamonds. From the jewelers perspective there was more profit because there was no loss of carat weight due to cutting process and there was no cost to employ a diamond cutter. 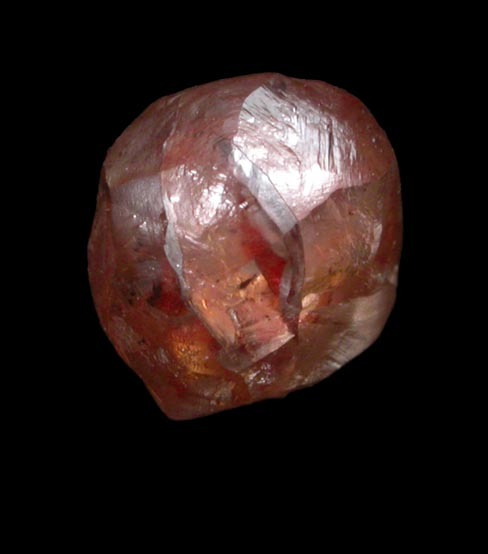 Additionally, rough uncut diamonds are guaranteed conflict-free, which cannot be said about faceted diamonds (unless you buy your own rough and have it cut). But I also sell gem-grade cuttable diamonds. I have sold diamonds to novices who are just learning. I have sold diamonds to jewelers that think they know what they are doing, but do not. I have sold diamonds to professionals in the diamond industry. And I have cut diamonds into gemstones. So, why do I advise against buying rough uncut diamonds to be faceted? Every diamond is cuttable to some extent. But if a diamond is heavily flawed or included it will not yield a large clean gemstone that is worth more than the rough stone. A flawed diamond will have too much waste and will not yield a profit. As a buyer of rough diamonds, you need to be able to evaluate the cutting potential. You need to be able to look at a diamond crystal and determine whether it will yield a large enough gemstone to make a profit. You need training. The best training is to learn how to cut diamonds. It takes years of apprenticeship to learn how to facet a diamond, how to get the maximum yield, how to not ruin a diamond. Even if you are a trained cutter, evaluating a diamond is not easy and there is much room for error. It is not a clear-cut process. Ask 10 diamond experts their opinion and you will get 11 opinions of a diamond's potential. Since you cannot easily get the training necessary, then you will never be skilled at evaluating rough diamonds. The hardness and "grain" of diamond crystals make them difficult to facet into finished gemstones. Not just any lapidary can do the job. A skilled faceter that has cut gemstones of emerald or aquamarine cannot cut a diamond because it requires special wheels and cutting head and the diamond must be correctly oriented during the process otherwise it will never take a finished polish. And, as mentioned before, it takes years of apprenticeship to learn how to cut diamonds. An unskilled diamond cutter can ruin a diamond in the process. A good diamond cutter can minimize the visibility of a flaw while maximizing the carat weight of the finished gemstone. An unskilled diamond cutter can magnify the visibility of internal flaws; can burn off a fancy color; yielding a small stone of little value. The key to successfully buying a rough diamond and making a profit by cutting it is buying a quality stone at a low price and having a skilled cutter maximize the finished quality and carat weight. As you can see there is potential for failure at every step. You could pay too much. You could buy a poor quality diamond. Your diamond cutter could lack experience. The finished diamond gemstone may be too small. The cut may be bad. The flaws may be visible. The color may be lower quality than anticipated. One other risk that needs to be considered: Diamond cutters may "pocket" your diamond and switch a lower quality diamond in its place. Or an unscrupulous diamond cutter may keep your stone and facet a lower grade stone sending you a lesser quality finished gemstone. This is why you must select your diamond cutter very carefully. First buy a good rough diamond. 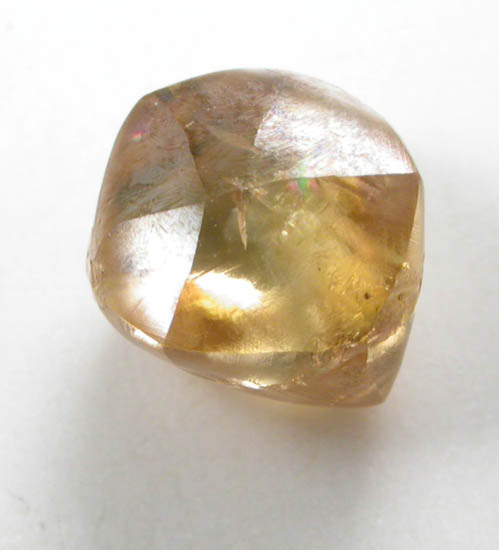 Diamonds labeled as "cuttable" or "gem-grade" are suitable for faceting into gemstones. If you do not see those terms in the description of a diamond then you should not assume that a diamond will yield a gemstone. None of the above diamonds are cuttable gem-grade diamonds. Look at the photos -- each is visibly flawed and could not possibly be cut into a gemstone. How he got the idea that these were cuttable gem-grade diamonds is a mystery. He did not tell me he wanted to have them faceted. If he had consulted me, I would have informed him that none of the crystals selected were gem-grade and all had flaws that were clearly visible. Most importantly none of the diamonds were described as cuttable or gem-grade. These are industry terms used for describing top quality diamonds with potential for being faceted into finished gemstones. When selecting diamonds for cutting you must buy carefully, fully read the descriptions, study the photographs. Finally inspect the diamond once you receive it. Evaluate the quality of the diamond to determine if it is cuttable. All diamonds sold on this site have a no-questions-asked money back guarantee. Any diamond may be returned within two weeks of receipt for a full refund. This two week period is your evaluation time to assess the diamond. Why buy a rough diamond and have it cut? 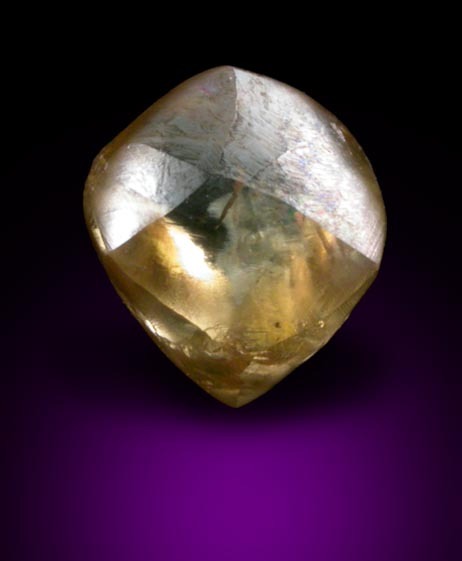 A rough diamond is significantly less expensive than a faceted diamond gemstone. Rough uncut diamonds are guaranteed conflict-free. They are not used to fund militias or civil wars. They are not blood diamonds. In response to war atrocities the United Nations instituted the Kimberley Process which involves sealing diamonds at the mine in tamper-proof containers with documentation of legitimate origin. The Kimberley Process was devised by the major diamond producing nations to protect the integrity of their production and prevent blood diamonds from entering into the legitimate diamond market. The process has been an overwhelming success and diamond smuggling has been drastically reduced from conflict countries. Any time a rough diamond crosses international borders, going in or out of ANY country, it must accompanied by a Kimberley Process Certificate (KPC). 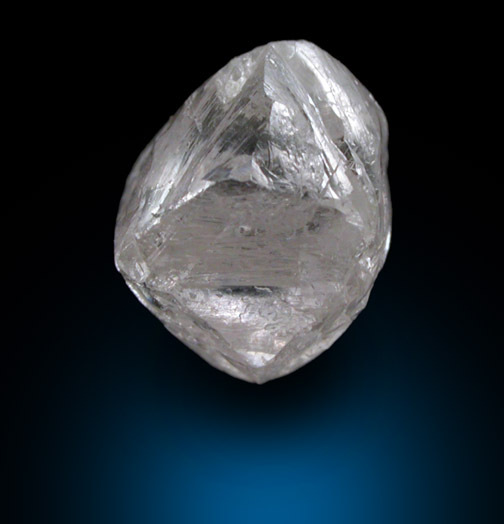 When a rough diamond enters the United States, the KPC is filed with the Department of Commerce. Every time it is sold thereafter within the country it must be accompanied by a Warranty of Kimberley Process which provides a paper trail back to the KPC on file. 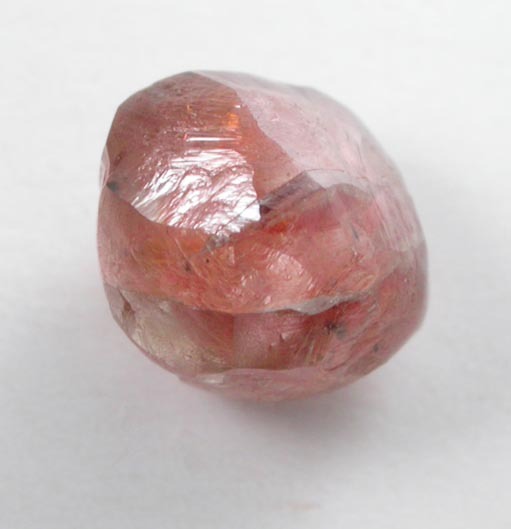 At this time the Kimberley Process has not been applied to finished faceted diamond gemstones. 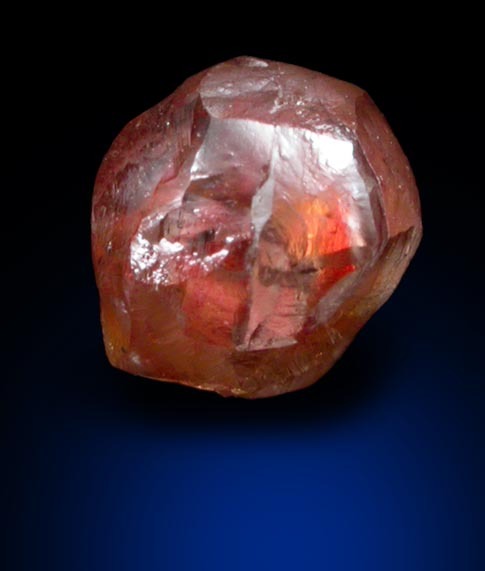 Following is an example of the potential profit possible in faceting a rough uncut diamond into a gemstone. 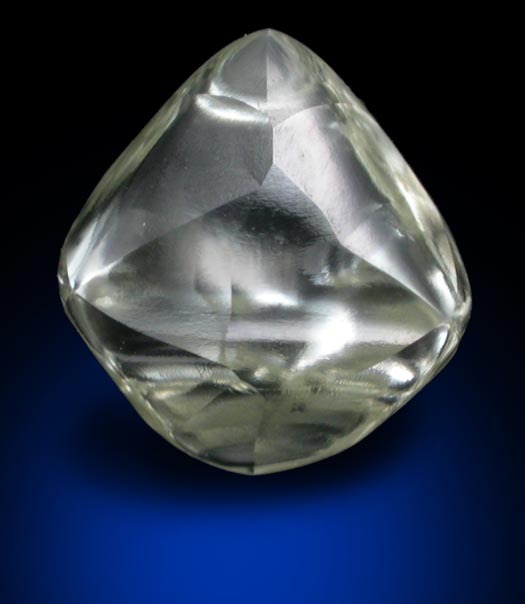 If you bought this diamond for $29,500: "Diamond #50946 - 4.85 carat cuttable F-color octahedral crystal. 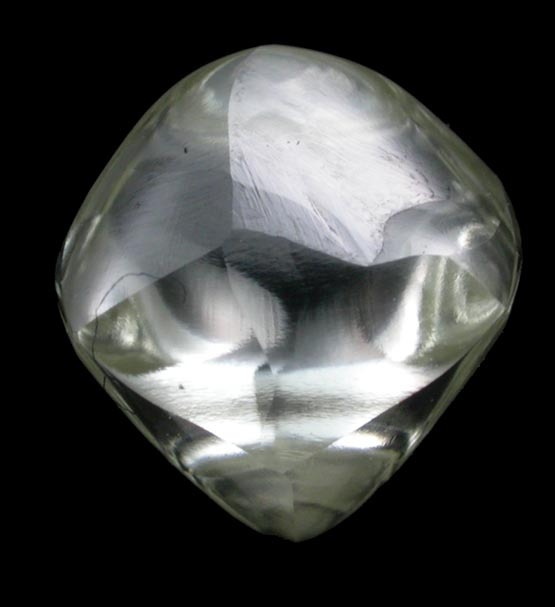 High quality white diamond graded at F color (colorless) with asymmetric octahedral form. The crystal faces have complex crystallization patterns giving a striated appearance. One small inclusion in the bottom corner can be eliminated when cut (VS1+)" then had it faceted by an expert diamond cutter it could yield a 2.00 carat white diamond which would be at least VS1 clarity. As you can see it is possible to profit by buying rough diamonds and having them cut into gemstones. But there is significant risk and requires much knowledge. You should learn how to use a 10x or 16x loupe and scrutinize each cut diamond. You need to evaluate the cost-per-carat against the flaws and imperfections visible in the cut diamond. You should partner with a trustworthy diamond cutter.